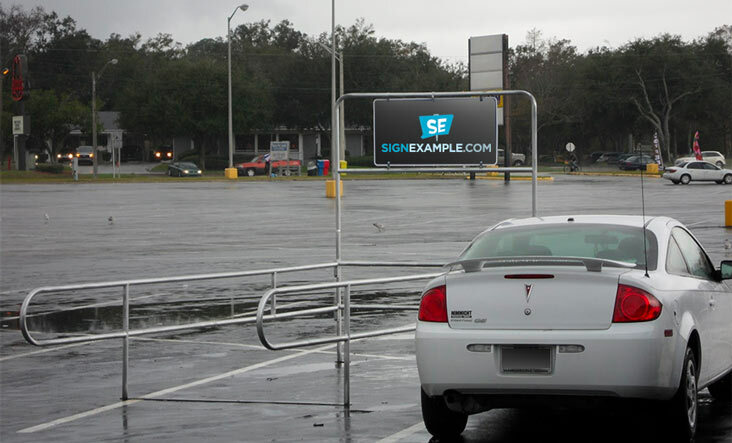 This product helps customers locate cart corrals in retail parking lots. Is there a specific thickness of material needed or specified? Do you require a specific type of rigid material? Does there need to be radius corners? Are holes required? If so, where and what diameter?